As a result of the water infiltration and recovery efforts related to McIntyre Medical Building fire incident in July, the Osler Library continues to be closed until further notice. The Osler recovery team has been focusing their efforts on securing the contents of the Osler Library of the History of Medicine. 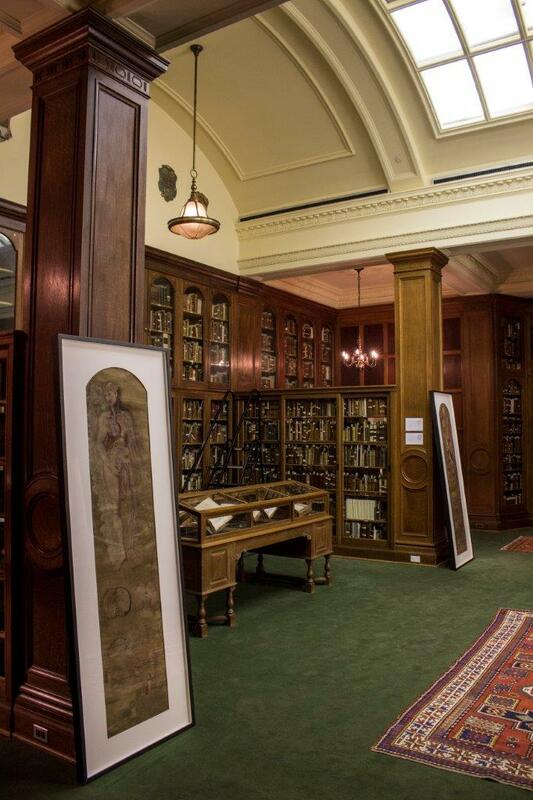 All books, rare books, art, and artefacts from the Osler have been wrapped, packed, and removed so that a complete inspection of the Osler section of the building can begin. - Osler staff members are based on the 4th floor of the McLennan Library Building (3459 McTavish Street) and are available to handle reference requests when possible. Please send inquiries to the Osler via email at osler.library [at] mcgill.ca or call 514-398-4711. Library users can also visit in person. Opening hours are Monday to Friday, 10 am – 6 pm. Click here for more information. - Osler Room materials (pre-1840) have been unpacked on the 4th floor of McLennan and are accessible for consultation via prior appointment. All bound manuscripts are also available. Email osler.library [at] mcgill.ca or call 514-398-4711. - In the coming weeks, Osler archival and 19th-century materials will be brought to McLennan. Please contact osler.library [at] mcgill.ca directly for questions about the availability of these items. - Materials from the circulating collection remain unavailable. The Osler recovery team is working towards providing access to the circulating collection for the start of the winter 2019 term. More updates to come. - Circulating collection material may be requested by McGill students, faculty, and staff through Interlibrary Loans. Thank you for your patience during this time. Please do not hesitate to reach out for assistance.